Panasonic has leveraged its optical drive technology, media technology, and sophisticated robotics technology to develop the Data Archiver LB-DH8 Series, a scalable optical disc library system that meets the need for long-term data storage. The Data Archiver is displayed for the first time in Australia at the Panasonic Business Showcase. To meet the need for long-term storage at data centres, which are increasingly being built and enlarged worldwide, Panasonic’s Data Archiver allows multiple data storage modules to be configured in a server storage rack according to customer requirements, with high- volume optical disc storage of up to 638.4 terabytes per rack. Digital data is doubling every two years and by 2020 the digital data generated worldwide is estimated to reach 44 zettabytes, or 44 trillion gigabytes. 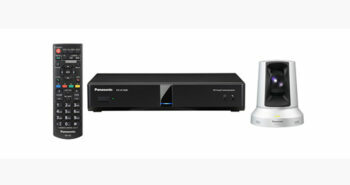 “Using the benefits of the durability of optical discs, Panasonic’s system can safely and reliably store large volumes of digital data over a long period at low running costs to support customers’ information asset management,” Stewart added. The system is designed for high-capacity, high reliability and high-speed data transfer. It consists of a data archiver magazine holding data storage discs and three types of modules: a bottom module (magazine carrier), a base module (magazine recording and playback unit), and an expansion module (magazine loader). The base module can house up to 76 data archiver magazines, each storing 1.2TB of data. A maximum of 91.2TB can be stored in each module. The 19-inch rack holds up to seven modules to achieve high-volume optical disc storage of 638.4TB max. per rack. Storage can be expanded according to the amount of data to be stored. 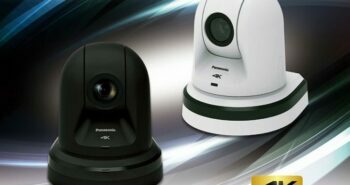 Panasonic’s newly-developed robotics technology has allowed this module configuration to be achieved. The magazine carrier in the bottom module quickly transfers data archiver magazines housed in each module to the writer unit. In the writer unit, twelve discs in a data archiver magazine are loaded to ensure smooth writing and reading of large volumes of data. RAID technology is used for high-speed data transfer at up to 216 MB/sec, ensuring high reliability that protects data from unforeseen failure. Recordable Blu-ray optical discs that have a storage life of 50 years are used to eliminate the costs of regular data migration. Standby power consumption is 7Wiv, reducing running costs. Since optical discs are highly resistant to changes in temperature, light, humidity and ageing, they can be stored at room temperature, eliminating the costs associated with air conditioning during storage. Concerns about physical wear are eliminated, as optical discs are a contactless medium. Additionally, the data archiver magazine drawer is detachable and data can be withdrawn and physically transferred by the magazine in the event of emergencies, which is useful for BCPs. The depth of the archiver is 927mm, allowing it to be installed in standard 1,000mm racks at data centres and facilitating its use in existing customer environments. The system can be easily connected to an existing IT system via LAN using Data Archiver Manager softwarev provided with Data Archiver Manager (server OS: compatible with Windows). CIFS network protocol supports the NAS head function. Multiple Data Archiver units and all data archiver magazines can be managed as a single logical volume. Panasonic has also developed a data archiver manager supported under Linux that can handle large-scale systems by extending its object storage technology. Magazines are managed by controlling the input/output of files using RESTvi based API. A single name space functionvii enables management of large-scale archive data and configuration of scalable storage. The NAS head function is also enabled. Australian pricing and availability for the Data Archiver LB-DH8 Series is yet to be announced.